The Russian president has made his country indispensable once again. 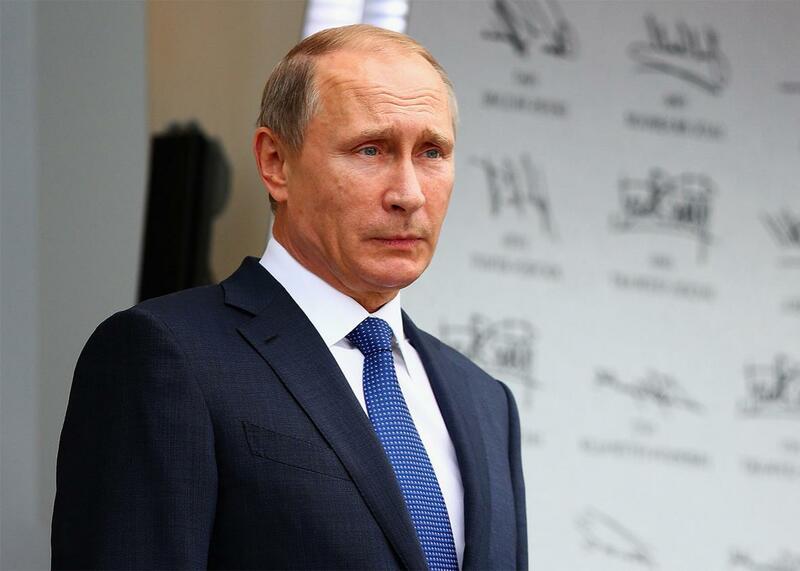 Russian President Vladimir Putin on Oct. 11, 2015 in Sochi, Russia. The defining mark of Vladimir Putin’s foreign policy is that after weeks and months of careful planning, he seizes on opportunities before the rest of the world realizes what he is doing. Unencumbered by an opposition or independent media, the Russian president acts with a decisiveness that makes Western leaders look like dithering ninnies. The success rate of Putin’s gambits is another story. In September he went to New York to pitch a grand international coalition to defeat ISIS, drawing a direct parallel to the Soviet Union’s alliance with the Western allies in World War II. Even though Putin scored a one-on-one meeting with President Obama, the proposal was widely seen as an attempt to break out of the isolation that the Kremlin had brought on itself by attacking Ukraine. Two days after Putin’s speech before the United Nations, Russian warplanes began bombing raids in Syria. Friday night’s terrorist attacks in Paris have given Putin a new opening to relaunch his New York initiative—and to line Russia up in the ranks of nations victimized by ISIS. On Tuesday, more than two weeks after a Russian passenger jet crashed over Egypt, the Kremlin confirmed what the rest of the world had long suspected: that a bomb had brought down the plane killing all 224 people onboard. During a visit to Russia’s futuristic National Defense Control Center the same day, Putin ordered his navy to cooperate with French forces in the eastern Mediterranean “as allies.” On Wednesday Russia resubmitted its draft resolution to the U.N. Security Council on a coordinated fight against ISIS—tweaked to accommodate French considerations. Before the Paris attacks, the Kremlin was unwilling to acknowledge that Russian tourists had become an ISIS target. Even as he suspended all flights with Egypt, Putin wanted to avoid creating the impression at home that Russian civilians were paying the price for his Syrian air campaign. Now he can cast Russia as the victim of international terrorism to his own people—and the rest of the world. That’s not to say that Russia doesn’t already face a real threat from Islamic extremists. Chechnya’s unsuccessful rebellion against Moscow has mutated into an underground religious war across southern Russia. Islamist terrorists, who strike regularly in the majority-Muslim North Caucasus region, were responsible for a twin airplane bombing and the Beslan school siege in 2004. In Moscow they have struck a theater, the metro, and an airport in recent years. More than 2,000 Russian citizens are believed to be fighting alongside ISIS. Killing the terrorists before they come home was the ostensible reason for Russia’s surprise intervention in Syria at the end of September. Yet Western security officials and Syrian opposition activists noted with irritation that Russian airstrikes were mainly hitting other rebel groups fighting Bashar al-Assad’s regime—but not ISIS. Putin’s apparent alignment with Western goals started to look like a cover for rescuing Assad and weakening resolve among Europeans to stick with sanctions imposed over Russia’s military involvement in Ukraine. Grabbing on to French President Francois Hollande’s coattails, Putin has rediscovered Russia’s struggle against ISIS. Long-range bombers and the Moskva, the flagship of the Black Sea Fleet, were sent into battle to great propaganda effect: Russia was finally fighting on the good guys’ side. Despite all his bluster, Putin has no problem allying Russia with the West if it fits his needs. What he can’t stand is being downgraded and ignored. Obama irked the Kremlin last year when he called Russia a “regional power” and listed the country among the top three global threats at the time, alongside Ebola and ISIS. The U.S. president studiously dissed Putin at international gatherings. Now, with a settlement for Syria more pressing than ever, Obama has no choice but to take Putin seriously. The two men were last seen together huddling in a hotel lobby over the weekend during the G20 summit in Turkey. The Pentagon and the CIA have also started talking with their Russian counterparts. It’s a good example of Putin having his cake and eating it, too. Syrian peace talks in Vienna put Russia front and center as an indispensable global power. At the G20, Putin made conciliatory noises about the repayment of a $3 billion-debt that Ukraine owes Russia. It’s all part of a diplomatic charm offensive designed to ease Western sanctions squeezing the Kremlin. “There’s no alternative to improving relations between Russia and the European Union, Russia and the United States,” Russian Deputy Foreign Minister Alexei Meshkov said during a visit to Berlin this week. Making common cause with France has become the key to Russia’s rapprochement with the West. Hollande is due to follow up a trip to Washington next week with a visit to Putin. The French president, who together with German Chancellor Angela Merkel is a guarantor of Ukraine’s so-called Minsk peace process, has already signaled a readiness for sanctions relief. Consumed by grief and fury over the Paris attacks, Hollande will be grateful for all the support he gets. Even before ISIS struck Paris, France and other European countries on the Mediterranean tended to view the biggest threats to their security emanating from the South, not the East. If a fragile cease-fire in eastern Ukraine holds without significant flare-ups—and Russia plays a lead role in pacifying Syria—it may be difficult to marshal a consensus when EU sanctions come up for renewal in January. The Paris attacks also play into the Kremlin’s hands domestically, dispelling doubts among Russians who may have started wondering if they really needed a dog in the Syria fight, too. The projection of military power outside Russia’s immediate neighborhood is Putin’s late revenge for having to watch passively as past U.S. administrations chased evildoers throughout the Middle East. State-run Channel One reported on Wednesday that in the previous 24 hours, Russia had flown 127 sorties destroying 206 targets, whereas the entire U.S.-led coalition had mustered only 20 sorties and hit 14 targets. “While European politicians discuss their plans, the Russian air force continues to clean Syrian territory of terrorist targets,” the anchor declared on the evening news. The vocabulary and TV images are familiar. Since Tuesday, Russia’s campaign against ISIS has been dubbed “Operation Retribution.” The Russian Defense Ministry’s Twitter account churns out an endless feed of nighttime missile launches and warplanes sighting their targets. For a moment he sounded like George W. Bush promising to “smoke out” the perpetrators of 9/11. It was hardly a coincidence.